Fight a soulless steel army! 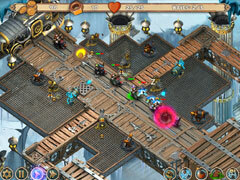 Prove your mettle in a storm of fire and steam! 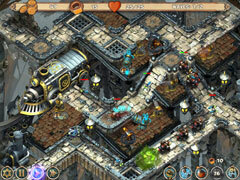 Hordes of invaders are emerging from the bowels of the earth to enslave the people of the surface. 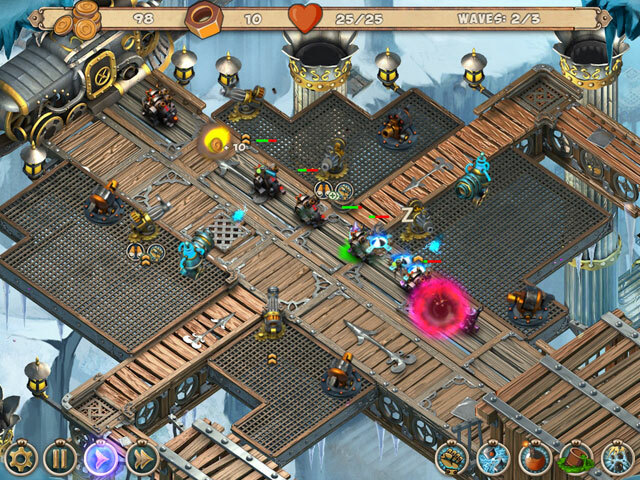 Iron Heart is a strategy game which revolves around defending your base by placing towers in tactically advantageous positions and using special skills. The plot follows the resistance of the planet's defenders against an army of steam-powered robots in a rare Victorian-era steampunk atmosphere, complete with Jules Verne stories, mechanisms, underground mines and cities. 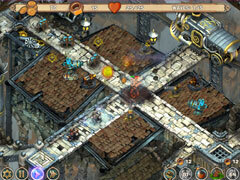 The battles take place in icy mines and on the streets of an abandoned underground city. Stop the underground threat!